Over One Lakh Farmers and Workers Are Marching in Delhi. Here's Why. 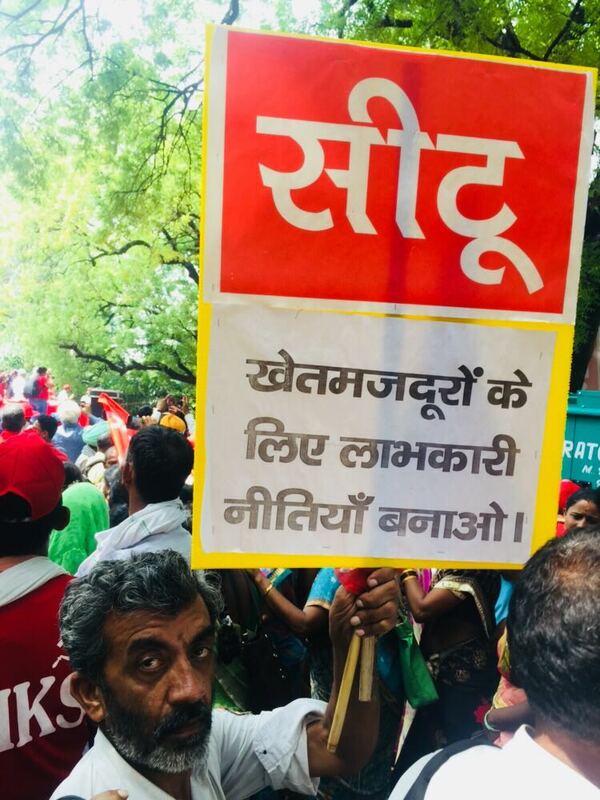 Organised by the All India Kisan Sabha, the farmers' and workers' demands range from an upward revision of minimum wages to remunerative prices for peasants. New Delhi: On August 29, Vijoo Krishnan, joint secretary of the All India Kisan Sabha (AIKS), was nervous. 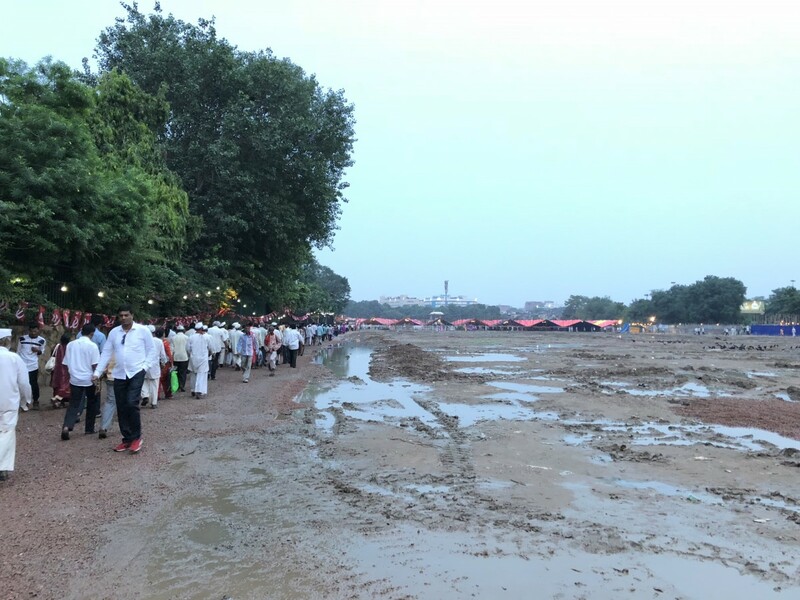 He reached the Ramlila Maidan in the evening and found it almost entirely submerged under water due to consistent rainfall and poor drainage mechanisms. “I thought to myself, how are we going to deal with this?” Krishnan told The Wire. More than one lakh farmers and workers from across the country, according to the AIKS, were to start coming into Delhi on September 2 and Ramlila Maidan was where the AIKS had planned to put them up. The volunteers got to work and managed to clear a part of the ground, where they installed wooden boards, covered them with yellow plastic sheets and put tents over them. “We could only manage to ready about 40% of the ground. So then we arranged for some people to stay in gurdwaras, others in a camp in Sahibabad and some in guest houses,” Krishnan said. On the eve of the workers’ and farmers’ march to parliament, around 30,000 people were inside the Ramlila Maidan, getting ready. It was another rainy day in Delhi. Large tents with wooden boards and plastic sheets being used to shield against the water worked as accommodation for the peasants and workers who had travelled for the protest. 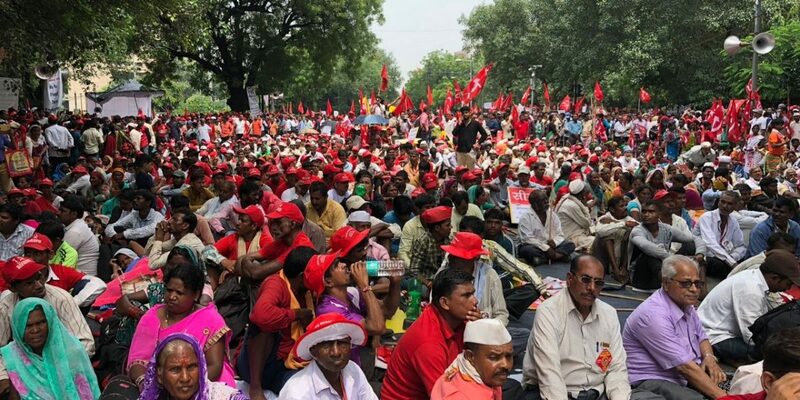 Workers and farmers from 23 states have arrived in Delhi with demands ranging from an upward revision of minimum wages to remunerative prices for peasants. 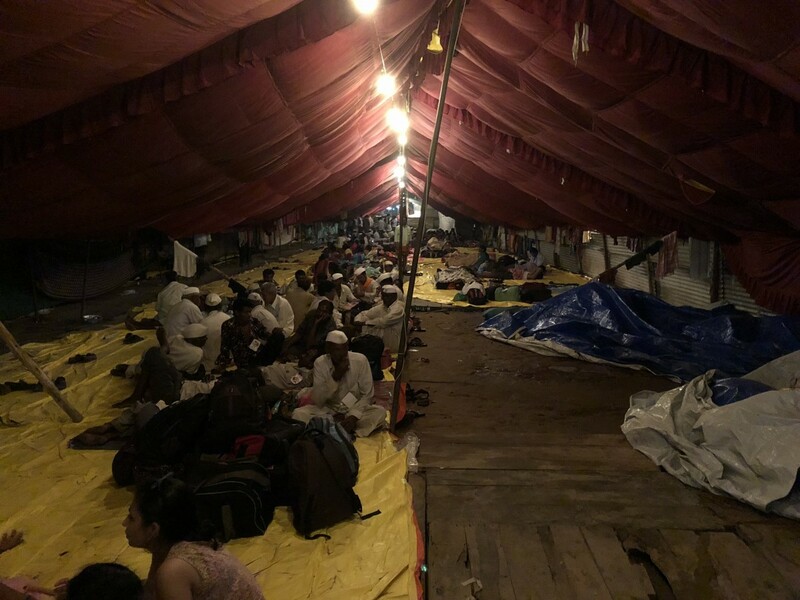 Around 5,000 have travelled from Nasik, many of whom were part of the Kisan long march from Nasik to Mumbai in March this year. A group has travelled from Pallakad in Kerala on motorcycles. Another group from Manipur has travelled despite being threatened by the local police and told not to do so. “In all, close to two lakh people will be marching to parliament in the morning,” Krishnan said. Everyone participating in the march is required to register and pay Rs 10 as fee. “There has to be a sense of ownership. Fundraising is also not that easy,” said Krishnan. The AIKS had begun planning the march to parliament in March. They began an online fundraising campaign in April, through which they managed to raise around Rs 20 lakh. “In addition, several of our state committees like from Kerala, West Bengal and Telangana are managing their travel and stay on their own,” Krishnan said. Inside the Ramlila Maidan, the AIKS has arranged for food and beverages for the participants. A medical centre has been set up with a doctor available 24 hours. A group of people from Mandsaur in Madhya Pradesh stood outside the tent marked ‘Madhya Pradesh’. Dheeraj Singh is a 56-year-old farmer and primarily grows garlic. He feels it was imperative for him to travel and express his grievances in Delhi as the government in Madhya Pradesh has turned a deaf ear. “Even after six farmers were killed by the police last year, the government continues to treat farmers with disdain. None of our demands have been met by the state government. We don’t get remunerative prices for our crops,” he said. Singh complained that garlic prices nosedived this season and as a result he has suffered massive losses. “Everything was lost. The prices were Re 1 per kilogram and the cost of cultivation is around Rs 20 per kilogram,” Singh said. The Wire had pointed out in May that garlic prices in Madhya Pradesh had fallen to as low as Re 1 per kilogram and the MP government’s flagship Bhavantar scheme was, in part, to blame. “Before garlic was included in Bhavantar, it was selling for around Rs 30 per quintal. But after its inclusion in Bhavantar, prices started dropping drastically. It gives the traders an excuse to lower prices. They tell us that you will get the price from the government anyway. But that never happens,” said Singh, as he was taken away by his friends to the entry gate. A group of women from Bihar were performing a folk dance. Several people gathered around to watch them and record the performance on their mobile phones. A short distance from the performance, a group of women stood with their bags resting next to them. They had just arrived from Adilabad in Telangana. Some worked as school teachers, others as anganwadi workers. Lakshmi (36), also an anganwadi worker, complained about low wages. Telangana pays anganwadi workers Rs 10, 500 per month. “It is nowhere close to being enough. We toil everyday in difficult conditions and we get paid very little,” said Lakshmi. The workers and peasants began their march from Ramlila Maidan at 9 am on September 5. The march will culminate at Parliament Street, where representatives from across the country will air their grievances and spell out their demands.